Ready or not, a $60 million PGA-caliber golf course designed by Tiger Woods will likely be replacing the current Jackson Park and South Shore golf courses. 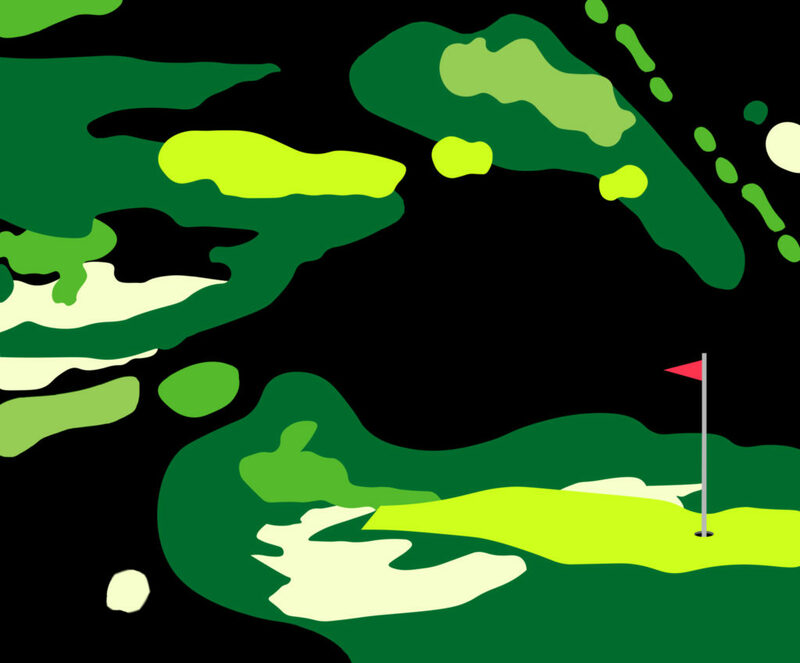 Activists have been mobilizing around the proposal for the golf courses for over a year now. 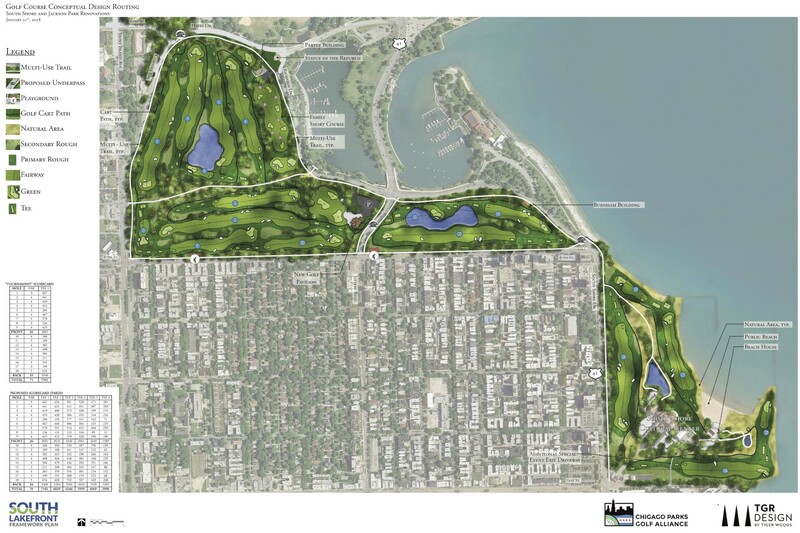 The proposed golf course is part of the Chicago Park District’s update to the 1999 South Lakefront Framework Plan, which encompasses both the golf course project and the development of the Obama Presidential Center, and road improvements related to both. After a year of unknowns and reports on the financial difficulties facing the project, in late January the Park District held its first meaningful community outreach meeting concerning the golf course, at the South Shore Cultural Center. During the meeting, Chicago Park District CEO Mike Kelly informed the audience of the source of funding for this development. The golf course project would require $30 million in infrastructure costs coming from taxpayers, with another $30 million coming from private funding raised by the Chicago Parks Golf Alliance (CPGA)—a private organization cofounded by a former top aide to Mayor Rahm Emanuel in 2016 in order to secure funds for the project, for which it holds a ten-year contract with the Park District. This meeting will be followed by two final community meetings, to be held on March 13 and 14 at the South Shore Cultural Center, before the Park District finalizes the new version of the South Lakefront Framework Plan. For some, there are obvious community benefits to be gained from this development. Louise McCurry has been one of the biggest supporters of the project. As the president of the Jackson Park Advisory Council, the volunteer body that serves as the official conduit between park patrons and the Park District, McCurry was also in attendance at the meeting. For her, when it comes to the golf course, the biggest winners will be the children. The golf course “provides for our children a place where they can play golf in a safe environment,” she told the Weekly at the meeting. For McCurry, those that are still opposed “don’t understand the process,” and she said that she would love to give them a tour of the proposed plans and help people to understand how the course can benefit the community. Yet, when new designs were revealed during the meeting, not everyone was satisfied. The project would expand the acreage of the current golf courses from 5.5 acres to almost twelve acres, while creating three new underpasses. In Jackson Park, it would also include the closing of South Cornell Drive near the west end of Marquette Drive in favor of creating a walking path and the construction of a new lake near its east end. At the South Shore Cultural Center, the plan would invade the South Shore Nature Sanctuary and transform the heart of it into Hole 15, while, as if to compensate, creating a new nature reserve using part of the public beach next to the proposed hole site. Some recreational facilities in Jackson Park, including beloved unofficial dog park Jackson Bark and some baseball fields, would also be eliminated. This sentiment was shared by Brenda Nelms, a cofounder of watchdog group Jackson Park Watch (JPW) who has serious concerns that the new golf courses could end up muscling out South Siders from parks they use regularly. “Our real focus is, will there be a park left after they finish slicing and dicing?” said Nelms. In addition to their concerns about the preservation of surrounding nature, community opponents feel the level of community engagement from the Park District has been lacking. “Nobody ever asked us,” Holcomb said. “They cooked up this deal in some backroom of City Hall somewhere and they just threw it at us.” She acknowledged that the city and Park District may now be soliciting community input, but criticized the fact that there were never any community meetings about whether there should be a golf course professionalization in the first place. JPW also remains adamant that the process for a new golf course has been anything but transparent. Nelms took issue with an email released by the city in response to a lawsuit brought by the Better Government Association seeking emails in which Mayor Emanuel conducted public business using his personal email address that show conversations between Kelly and Emanuel in 2016 about the proposal, well before the plans for a new golf course were public. “It is critical for YOU that this project has the support of the Obama Foundation and the surrounding community,” wrote Kelly to Emanuel in an August 3, 2016 memo, marked as confidential. “We must be very cautious as this community typically weighs in loudly on any capital project that makes change,” Kelly continued. It is JPW’s belief that this project has been strategically made to look as though it has the full support of the community, when in fact there is wide and varied opposition. In response to the release of the emails between Kelly and Emanuel, JPW wrote a letter to Kelly and the CPGA, with Emanuel carbon copied. In the letter, JPW called for the Alliance to release the financial details of the golf course, along with a new design that would not expand the acreage of the current golf courses. Despite multiple requests, Nelms says that they never received a response. Brian Hogan, a Chicago media attorney and cofounder the CPGA who serves as its director, talked with great enthusiasm about the project. “The most important thing is that this is a Park District course and will always remain that way for the people of the South Side,” he told the Weekly. But the virtue of it being a Park District course doesn’t mean that there won’t be rate hikes for residents. Kelly has continued to pledge that rates won’t go any higher than fifty dollars a round—an increase of over fifty-six percent from the current rate of thirty-two dollars. Indeed, the golf course proposal is just part of the South Lakefront Framework Plan. Residents have felt as though they are receiving mixed messages from the city with all three interconnected projects—the golf courses, the OPC, and road work—especially when some residents observed that the process has been unusually expedited. “The project has absolutely been rushed. They have slowed down, but that is because of the community backlash,” said Naomi Davis, president of Blacks In Green, a west Woodlawn-based nonprofit that focuses on sustainability and economic development in Black communities. Indeed, machinations to allow the massive proposed changes to go through have already begun, with the Park District’s Board of Commissioners voting late last month to swap six acres of parkland for eight acres of road with the Chicago Department of Transportation and the Chicago Plan Commission and City Council’s Committee on Zoning considering the zoning change for the OPC shortly. At the crux of this massive endeavor are celebrity figures like Barack Obama and Tiger Woods. Their fame has left some feeling suspicious as to whether or not the projects are truly about benefiting the South Side communities, and this suspicion is only worsened by the lack of frankness from the developers about the interplay between different projects—in this case, the OPC and the golf course. Davis said that the meetings that have been held have mostly been for show, a sentiment also echoed by JPW. After the most recent meeting, JPW is still unhappy with the proposal. They continue to call for more public accountability and detailed plans, arguing that the public “lacks essential financial information about construction, operation, and maintenance” about the projects. The stakes for the parks could hardly be higher. Just last week, Preservation Chicago, a nonprofit that seeks to protect Chicago’s most important historical landmarks, released its annual list of the most threatened treasures in Chicago. For the second year in a row, Jackson Park and the South Shore Cultural Center made the list. Their entry lists the golf courses revamp as one of the main threats to the parks.